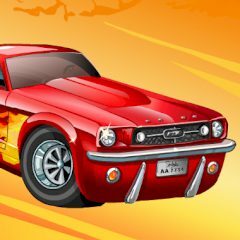 This is an exciting racing game where you will drive powerful retro cars on tracks full of various obstacles and bonuses. Collect gems at each level. Jump, launch missiles and drive away from enemy trucks!